Vakantiepark Marina Beach in Hoek - the best offers! This price applies to 6-person cottage Marina Beach, with the arrival as 3 June 2019, 2 Nights. 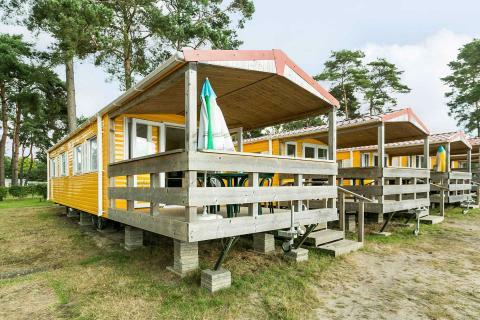 This price applies to 4-person mobile home/caravan Zeeuws, with the arrival as 3 June 2019, 2 Nights. 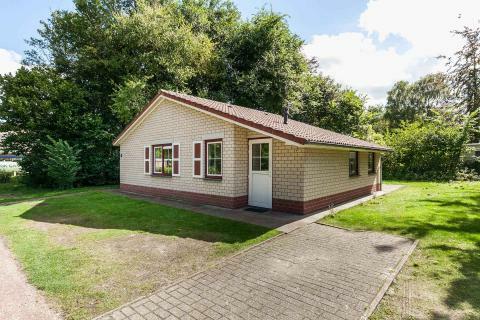 This price applies to 6-person mobile home/caravan Westerschelde, with the arrival as 16 May 2019, 3 Nights. 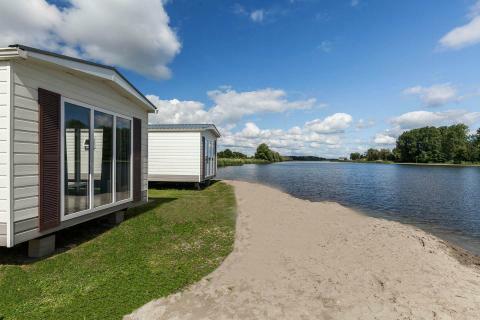 This price applies to 4-person mobile home/caravan Noordiek, with the arrival as 17 May 2019, 3 Nights. 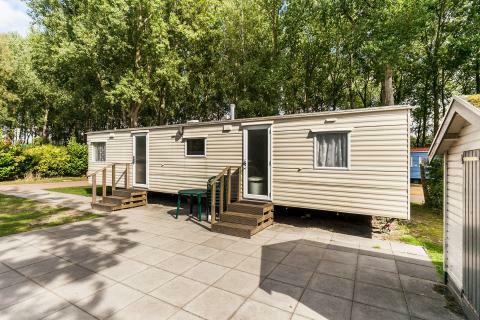 This price applies to 4-person mobile home/caravan Beach Cottage, with the arrival as 16 May 2019, 3 Nights. Pets are always on request. Please make this request clear when booking, and the park will take it into consideration. If your request is approved, there will be a surcharge of €5 per pet, per night and a one-off payment of €10 cleaning costs. 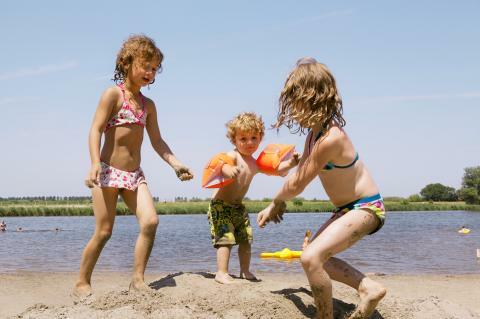 Enjoy a wonderful family holiday at Vakantiepark Marina Beach. The state-of-the-art facilities include a subtropical swimming paradise and tennis courts. You can visit the traditional Dutch villages in the area. During the months of July and August, there are many night markets and street fairs in the local towns which are alive with community spirit. There are several nature reserve in the area, and many cycling and hiking trails to follow. Altogether, it is the ideal destination for a holiday near the beach and surrounded by nature. Vakantiepark Marina Beach has a variety of fantastic facilities on offer. There is a tropical swimming paradise and a marina just 10 minutes from the park. In good weather, it is a must for young and old to relax on the sandy beach bordering the lake. Here, you can enjoy a swim in the clear waters or try your hand at surfing! Do you want to try something more active? Enjoy a game of tennis or mini-golf with the whole family. During the school holidays, there is a live show every evening. During the school holidays, there is a lively entertainment team to organise fun activities for the children. These include treasure hunts, football matches and game evenings. The children can also participate in many activities including arts and crafts, children’s bingo and face painting. Of course, they can also enjoy themselves on the trampoline, at the skate park or in the arcade. Vakantiepark Marina Beach has several restaurants to choose from, including a sports bar and a family restaurant. Enjoy a drink on the terrace overlooking the beautiful lake while the kids make the most of the playground. The sports bar has pool tables and a climbing wall! On the peninsular, you’ll find a nature reserve populated by highland cattle and a bird island. A trip to one of the traditional villages in the area is highly recommended. Nature lovers will have an unforgettable holiday , with many nature reserves and cycling trails to explore. For most requests/preference, a surcharge of €16.50 is applied. If your request or preference is approved, you'll find the costs on the invoice from the park. Groups can only stay at this holiday park on request. If your request is approved, a deposit of €50,00 per person is required. Off-season: facilities are not or partially open. Peak season: depending on the occupancy rate of the park, it might occure that some facilities are not or partially open. The park may ask for a deposit of €250 per accommodation. During the weekend of 18 until 21 August the festival Lowlands takes place near the park. During this weekend a mandatory deposit of €250 per accommodation is required.